As part of the 35th annual National Stuttering Association conference, a group of talented comedians will stand up for stuttering in "NSA Laughs!" Headlining the show is Nina G, an 8-year, stand-up comedy veteran and professional speaker. This stand-up comedy show is open to the public and is scheduled for July 5 at the Sheraton Grand Chicago. (CHICAGO, Ill.) -- NEWS: As part of the 35th annual National Stuttering Association conference, a group of talented comedians will stand up for stuttering in "NSA Laughs!" Headlining the show is Nina G, an 8-year, stand-up comedy veteran and professional speaker. This stand-up comedy show is open to the public and is scheduled for Thursday, July 5 from 9 p.m. to 11 p.m. at the Sheraton Grand Chicago. Nina G is also the author of "Stutterer Interrupted: The Making of a Stuttering Stand-Up Comedian," (https://www.stuttererinterrupted.com/), which is scheduled to be released the summer of 2019. Other comedians who are taking to the stage include: Tague Zachary, a seasoned pro who was most recently seen rocking out at the Chicago Nerd Comedy Festival with his solo show, "A Nerd and A Guitar;" Kinner Shah, a Los Angeles-based actor and comic who was featured on "First Nation's Comedy Experience" (FNX Network), "TOSH.0" (Comedy Central) and "Brooklyn Nine-Nine" (FOX); and George Laday, an amateur comic who entertains for fun. He's a long-time conference goer and this year's host. "I'm so excited to be part of this show," Nina says. "It's ideal to make people laugh while providing awareness - sharing wit and wisdom." Admission to the show is $10 for conference goers and $15 for the general public. Nina G is an entertainer and educator. She first stepped onto the stage after she was inspired by her experience at NSA where she was challenged to change her relationship with stuttering. 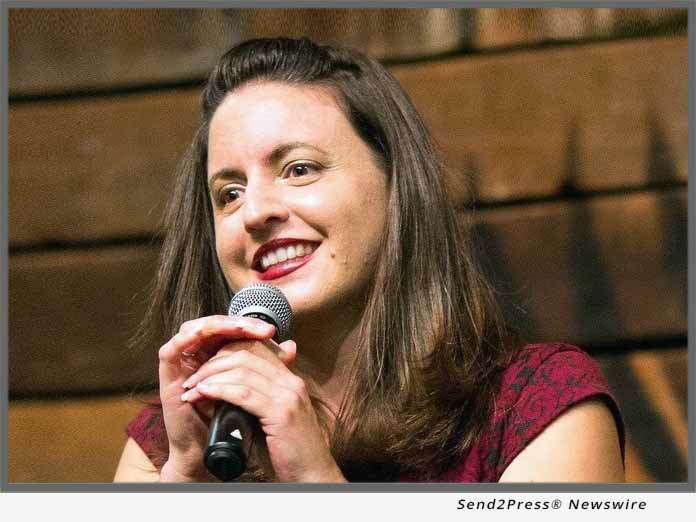 When she isn't performing at comedy clubs like San Francisco's Punchline or the Laugh Factory, she's playing colleges or keynoting at conferences and training professionals. Nina is part of the comedy troupe, The Comedians with Disabilities Act, which brings laughter and awareness to audiences of all ages across the country. Nina is also the author of a children's book, "Once Upon An Accommodation: A Book about Learning Disabilities," that helps children and adults advocate for their rights as a person with a disability. Nina's one person show, "Going beyond Inspirational," which debuted in 2015, is a comical exploration about growing up with learning and speech disabilities. For more information about the National Stuttering Association, visit: https://westutter.org/.